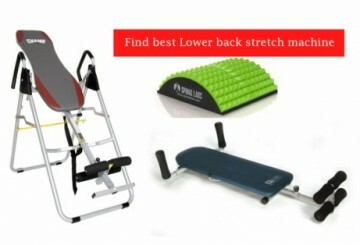 Before we can find the best mattress for back pain, we must understand different type of mattress. Through time, various kinds of mattress have emerged catering to different types of sleepers as they vary in materials, construction, density, and price among others. Before moving on to the various type of mattress available in the market today, there is one more important thing that you should know. 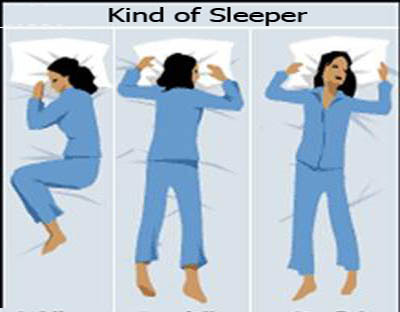 Closely related to making the right purchase of bedding is finding out what kind of sleeper you are. Stomach sleeping means sleeping with belly-down. While it may minimize snoring, this sleeping position is considered as the worst sleeping position and primarily results to lower back pain. For stomach sleepers, you need a particular level of firmness on your mattress. It has to be soft to reduce pressure in the ribs and stomach but firm enough to keep the spine aligned. For this, a mattress that effectively floats the body is ideal. Sleeping on your sides is a healthier position. It relaxes the spine and joints to their natural position. For side sleepers, you need a mattress that accommodates the curve of your body and at the same time relieves pressure on the shoulder and hips. You would want a softer mattress for a good night’s sleep. For people who sleep on their backs, adequate arch support is highly necessary to prevent spine misalignment, which is a cause for back pain. There are back sleepers who like firm mattresses, while other like it soft. What is important is that you to keep the natural curve of your body. While others are purely stomach, merely side, and purely back sleepers, some people sleep with a combination of all types. If you are a combination sleeper or looking for something that you would want to put in your guest room, then you need a mattress that suits your personal comfort. Identifying which among the categories of sleepers you belong is crucial in finding the best mattress for back pain that works for you. If your mattress does not give you the comfort you need for a well-deserved sleep, it is time to shift to a new one. To ease your burden of actually going out, save money and time as we go through the different type of mattress considering that each mattress works differently from the others. The first type of mattress is the air bed. Air beds are also called as adjustable air beds, because unlike other variations, they use flexible air chamber instead of foam or coil. An upholstery material usually covers the air chamber. Pros: One advantage of an air bed is that you have a wide range of choices whether you like it plush or firm since you can control how much air you exert into the mattress. It provides adequate support to weak or ailing parts of the body. Its dual zone technology allows you to adjust each side of the bed according to your preference, which is an advantage for couples. Cons: The disadvantage of using air bed is that movements on it may create noise. Some mattresses tend to trap heat. The use of air bed also comes with re-inflating of the same, and you have to be extra-careful not to put sharp objects on the same or else it pops. 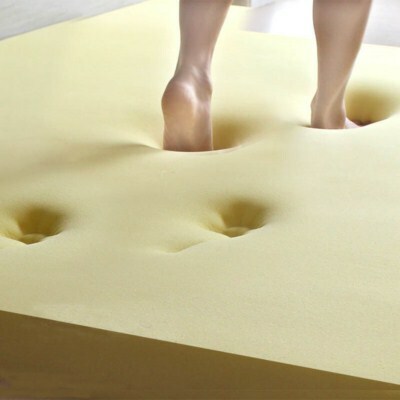 If you need firm support for your back, this is not an ideal mattress for you. Another popular mattress to prevent and relieve back pain is the latex. It uses layers of latex foam for support, and the spring mechanism is what gives relief to back pain. When your body lies on the mattress, it pushes back on the body to align the spine and promotes the natural curve of the body. Pros: The springy effect of latex mattress makes it a comfortable bed. It is soft and allows your body to sink and align your spine properly. A natural curve position of the spine will give you a great morning to wake up. Plus, if you are living in humid climates, its anti-mould and dust properties would be of big help. Sharing the bed with someone else would not be a problem because it effectively isolates movements on both sides of the mattress. Cons: The disadvantages of latex mattress lie on its cost and weight. 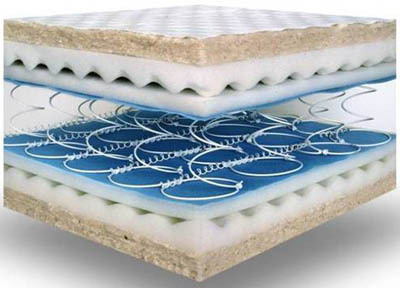 Since they are more resilient and durable, expect that this kind of mattress is more expensive than others. Unless you lift or move your mattress every night, then this will not be a problem for you. As compared to other mattresses, this one is heavier. 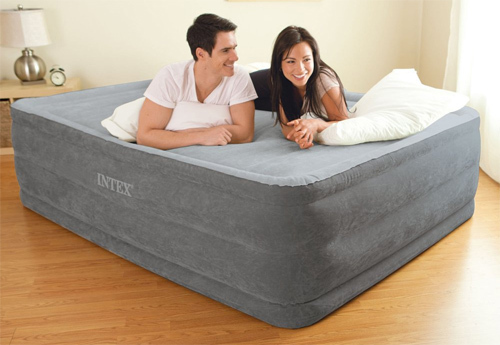 If airbeds had air chambers, waterbed has water chambers usually covered by upholstery materials like foam or fiber. Waterbeds could either be soft-headed or hard-headed. The old places water chamber inside the frame of foam, which is encased in fabric. The latter, meanwhile, uses rectangular wood to enclose the water chamber. It could also be either free-flow where nothing obstructs the water or waveless where fiber restricts the movement of water. In general, waterbeds provide ample support for the backs to prevent morning back pain. 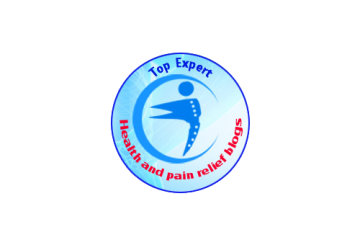 Pros: For people with back pains, the ability of thermal waterbed system to add heat at our muscles like on the hips, back or neck effectively relaxes the muscles and relieve stress. 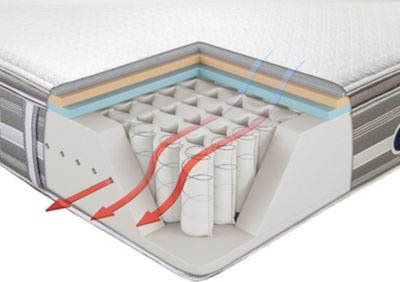 Nevertheless, waterbeds regulate temperature to make sure you get a comfortable sleep as it contours to your body. The relief of waterbeds to the body’s pressure points will likewise relax the joints especially the spine. Plus, they are generally dust-mite free. Cons: Waterbeds, however, do not receive wide approval. First, the waterbed heaters entail additional cost. They can be very heavy and difficult to maintain. Plus, you have to be careful not popping the mattress, although there are wide choices of really durable and strong mattresses in the market that you can choose from. If your back needs a firmer mattress, a waterbed might not be the best choice for you. This is one of the best type of mattress for back pain. Many people suffering from back pain would normally shift to a memory foam mattress and earned relief. Let’s see if this one works for you. 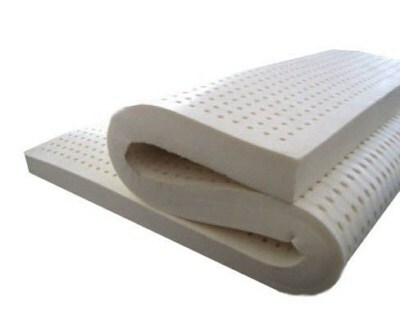 Memory mattress utilized high-density polyurethane foam and topped with viscoelastic material. This material does not only regulate temperature, but it also contours to the shape of the sleeper. Pros: One advantage of memory foam mattress is it easily mold to the contours of your body, so your muscles and joints are relaxed rather than strained and stressed. It also spreads your body weight equally on the surface of the bed. It ensures alignment of the spine for a better sleep at night. Moreover, if you are sharing the bed with someone else, its motion isolation capability is a plus. Cons: The downside of this memory foam mattress goes to sleepers who need firm support for their backs. Unless you sleep in an air-conditioned or well-ventilated room, the heat retention property of the memory foam will not be an issue. However, for those who are not, you may find it uncomfortable, and you may end up sweating at night. Another regular mattress used by many is the innerspring or coil mattress. These mattresses use steel coil, which could either be individually wrapped coils or continuous coils. They vary in the number of coils or springs they contain, as well as its shapes and designs. So what are the advantages and disadvantages of this type of mattress? Pros: The advantage of an innerspring mattress depends on if it is an open coil or continuous. Individually pocketed coils provide better contouring for the body and the more coils there is, there is a greater distribution of body weight and better mold on your body. Independent coils are the better choice for couples as it isolates motion rather than continuous ones. Because it comes in a different firm or plush levels, you have an array of choices as to what you want in your bed. Cons: As to the cons of an innerspring mattress, it has poor pressure points relief. As compared to other type of mattress, coils wear out faster than others. The deformation or lumps on the surface are what cause back pain. When it came out to the market, everyone was on Google trying to find out what it was. From its name, a hybrid mattress is a combination of innerspring and foam, such as latex or memory foam, inside the mattress. So, what make it different from innerspring and foam, then? Pros: We also agree that this is the best mattress for back pain. As to its advantages, the hybrid mattress is better at contouring to your body as compared from coil mattress. Because it varies in its spring and foam composition, you get to choose from its several options for firmness. It is also a good mattress to separate motions or movements. Cons: One disadvantage about the hybrid mattress is that it can be pretty expensive and usually heavy. As you have read, each type of mattress is different from the other. The key to finding the right mattress to prevent and ease the lower back pain is first to determine what kind of sleeper you are. From here, you can determine if your back, including muscles, joints, and spine, needs a plush mattress that your body sinks into it or a firm one to provide support for your back to relieve pressure on important parts of the body. As more people today realize the importance of sleep, the market does not run out of innovative and improved mattresses targeted to relieve back pains and provide quality sleep. Regardless of your budget, choose a mattress with the right size and of the right type to match you personal preference and needs. You know it is the best mattress for back pain if it properly aligns your spine and support the natural curves of you body while relieving pressure on the muscle and joints as you sleep. Do not compensate your health and sleep for a cheap mattress. Go for quality vis-à-vis value. Mattress has a life of seven years, so make sure your mattress is worth its price. However, remember that just because something is expensive, it means it will work for you. Do not hesitate to give your mattress a test drive.